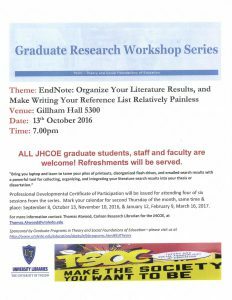 All JHCOE graduate students welcomed! Refreshments will be served. 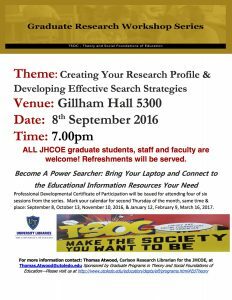 Bring your laptop and learn to tame your piles of printouts, flash drives, and emailed search results with a powerful tool for collecting, organizing, and integrating your literature search into your thesis or dissertation. 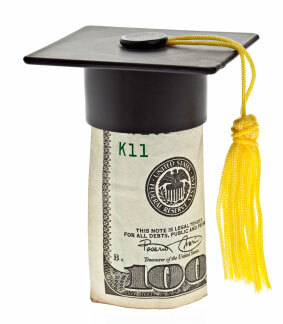 Sponsored by the graduate programs in Theory and Social Foundations of Education. Click here to visit program website. in celebration of our 100th anniversary…. Judith Herb College of Education Scholarship applications for the academic year 2017-2018 are now available. Applications are due no later than Thursday, December 15th. Please read the instructions carefully, complete the application in its entirety, and drop it off or mail it to the scholarship committee in the Student Services office in Gillham Hall room 3100, Mail Stop 914. The Judith Herb College of Education and the Learning Enhancement Center are partnering to help Education students prepare for the Praxis Core Exam. We offer the following FREE workshops. Please call 419-530-2176 to register for the workshop(s). The full schedule is available. Click here. 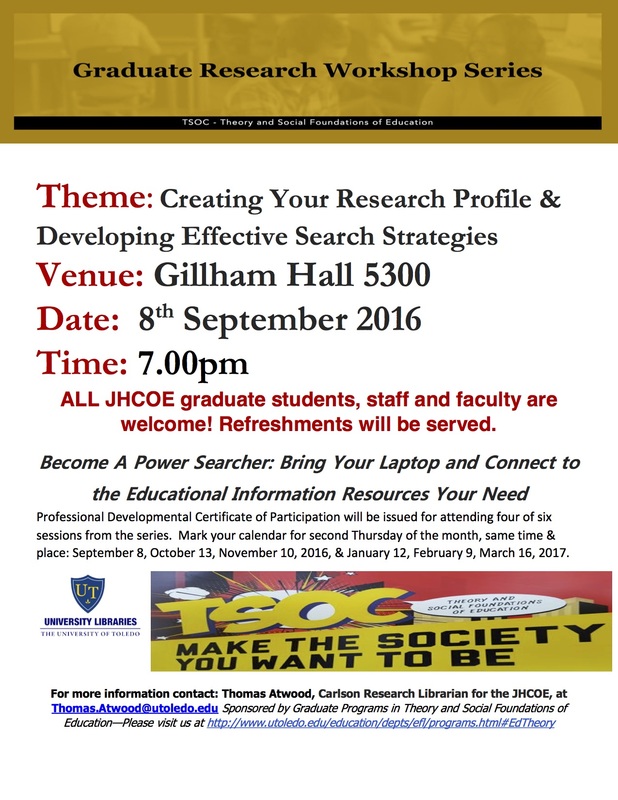 All JHCOE graduate students welcome! Refreshments will be served. Bring your laptop and connect to the educational information resources you need. Mark you calendar for the series: October 13, November 10, 2016, January 12, February 9, and March 16, 2017. 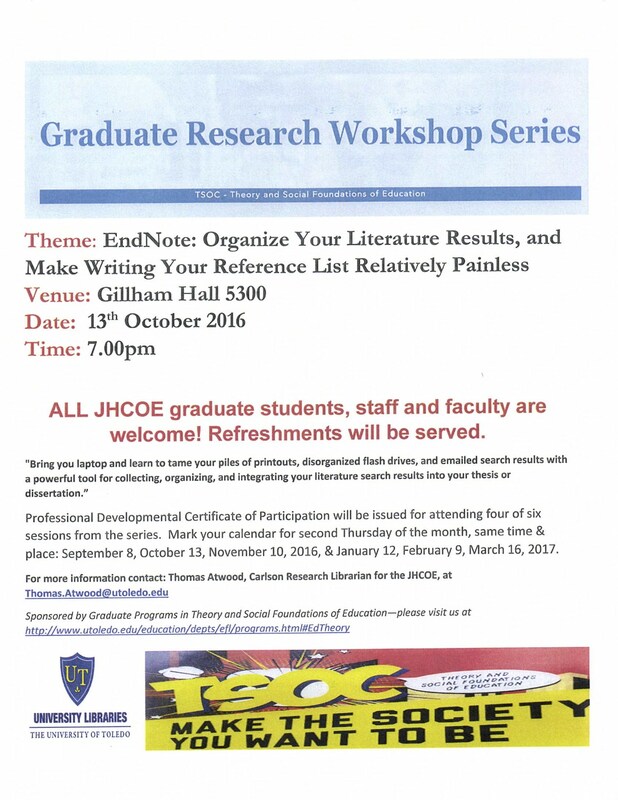 Sponsored by graduate program in Theory and Social Foundations of Education. 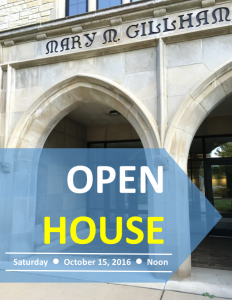 Click here to visit program website.